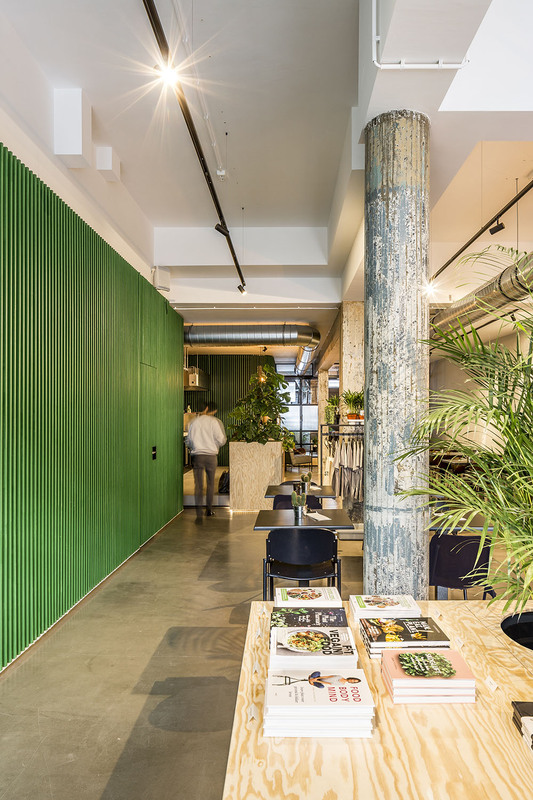 Through a successful crowd-funding campaign a young and ambitious couple initiated a fully plant-based concept store in Rotterdam. 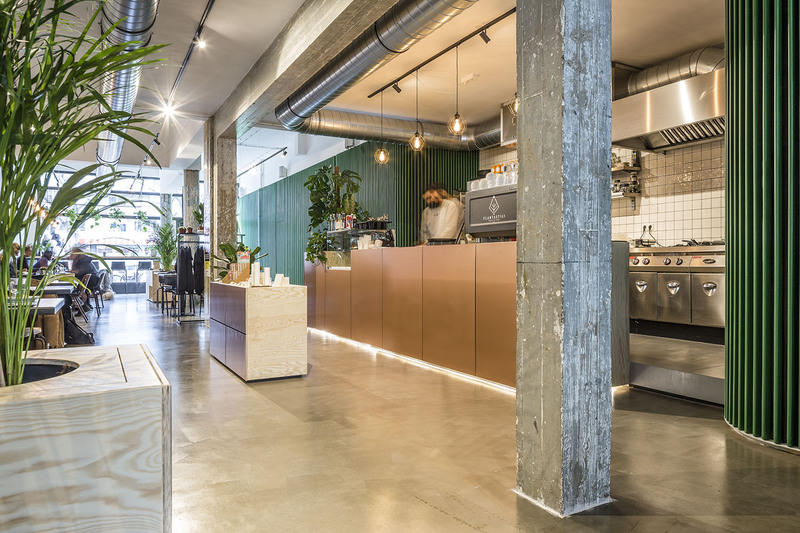 Besides offering food and drinks, the concept store also facilitates in sustainable and healthy shopping. 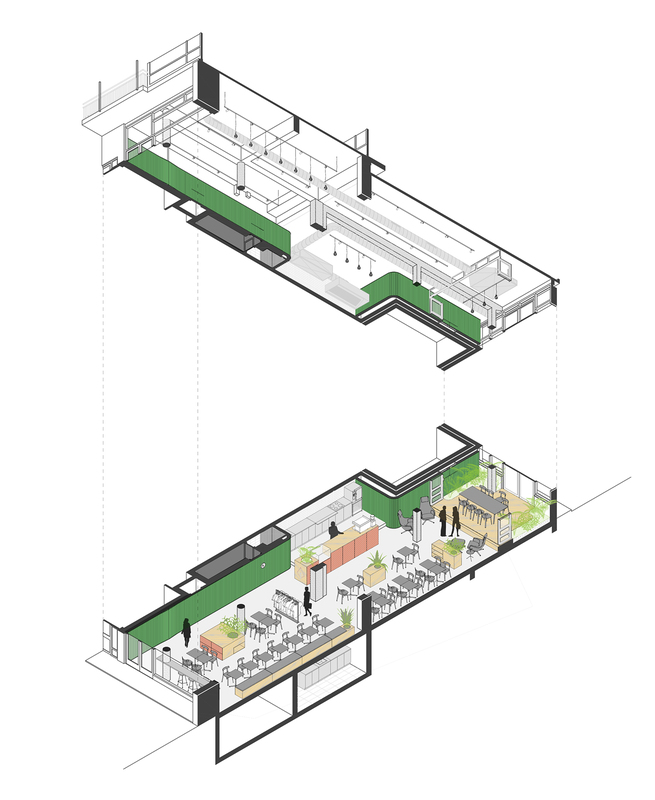 Thus, a mix of both restaurant and retail formed the architectural brief. 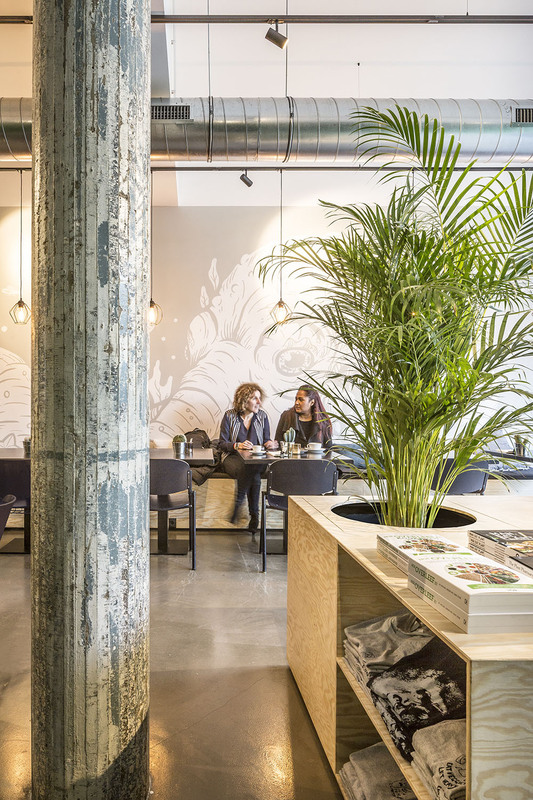 How to create a store within a restaurant and a restaurant within a store? 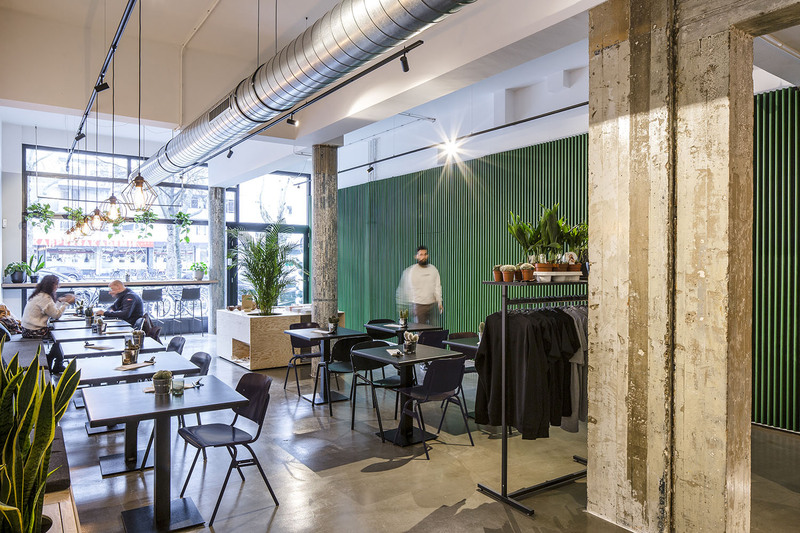 By considering the entire floor of the acquired space as an open floor with solid detached retail blocks scattered around, ample space was created in between to facilitate the minimalist restaurant seating area. 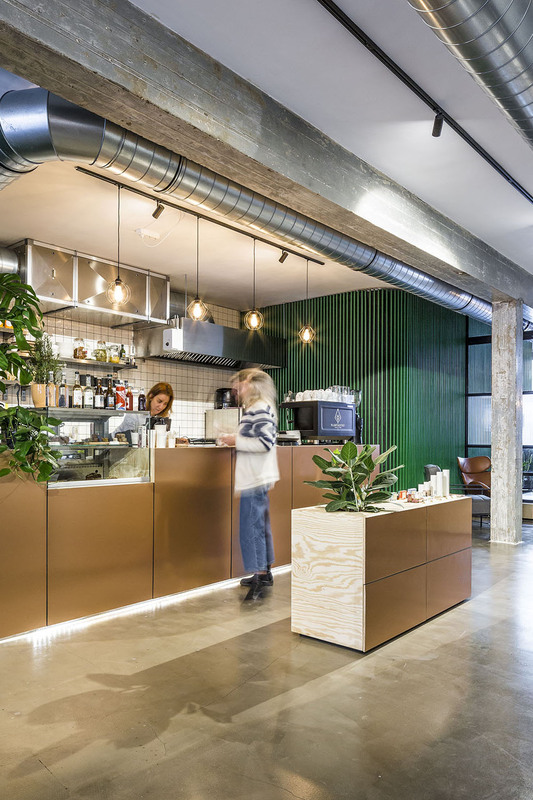 Besides being a pedestal for plants and vegetation, each block showcases a different kind of retail, from books to nutrition and from restaurant counter to a platform that could both act as a reading area, a stage for events but also as a rentable meeting room. 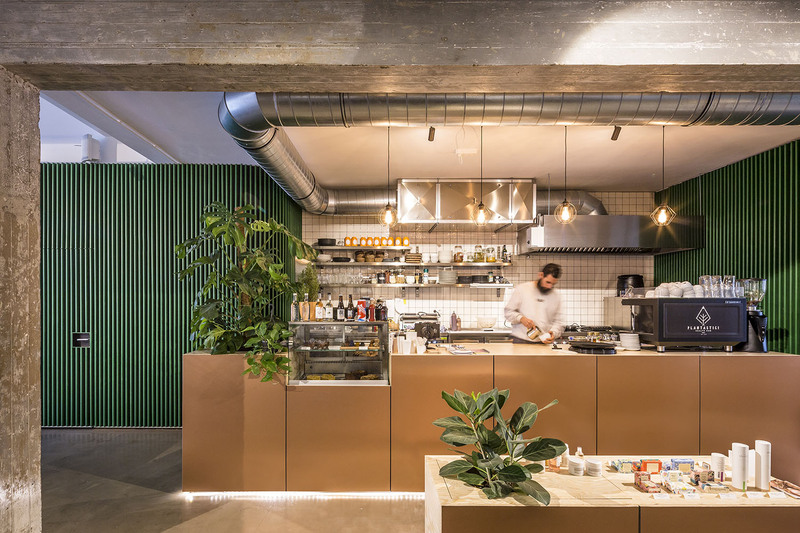 A flexibility created by a completely openable glazed steel frame. 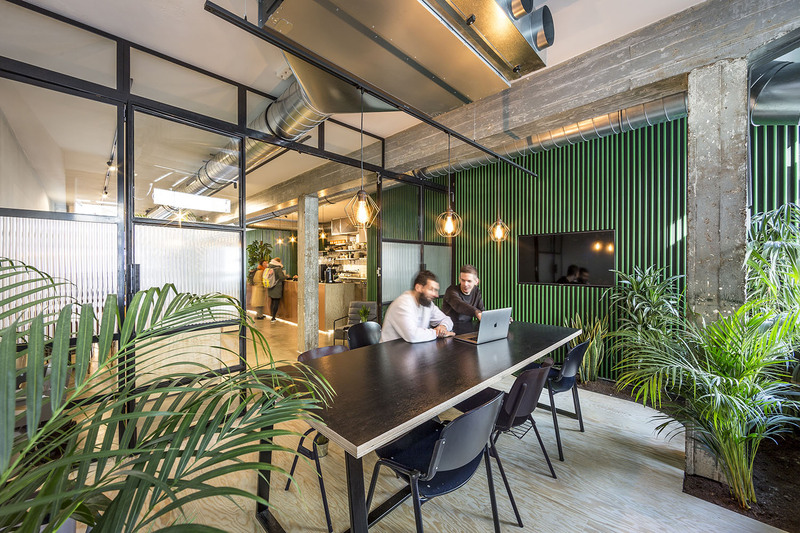 The original space consists of a deep room with daylight on both ends with two interlocking spaces intruding into the long room and a prominent load-bearing structure defining the character of the space. 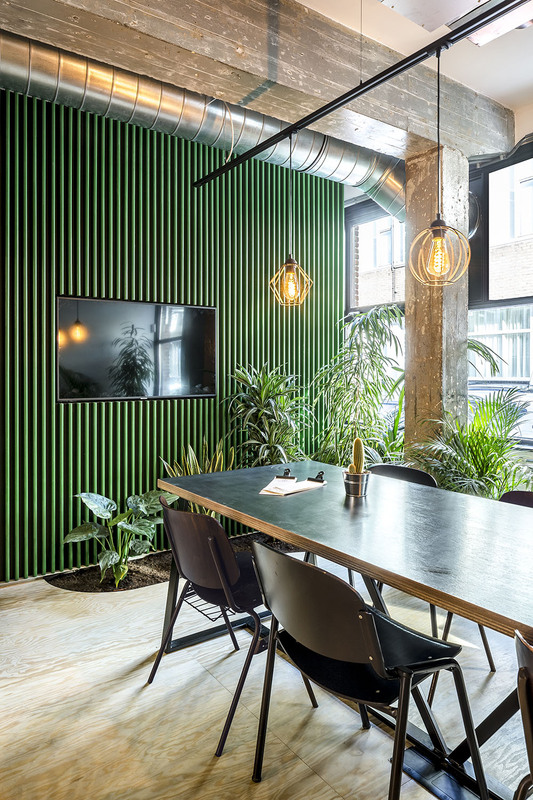 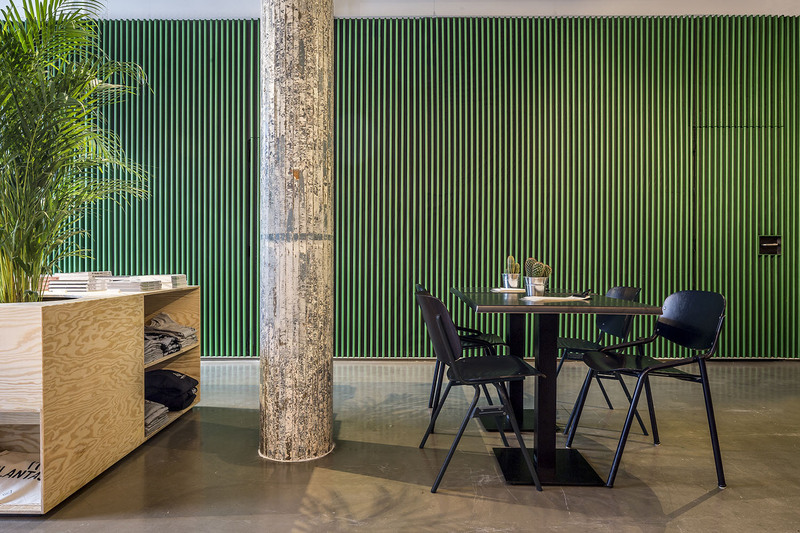 In order to masque the disorganized nature of the intruding spaces we opted green slat walls that would not only optically create two green volumes within the space but also regulates the acoustics of the concept store. 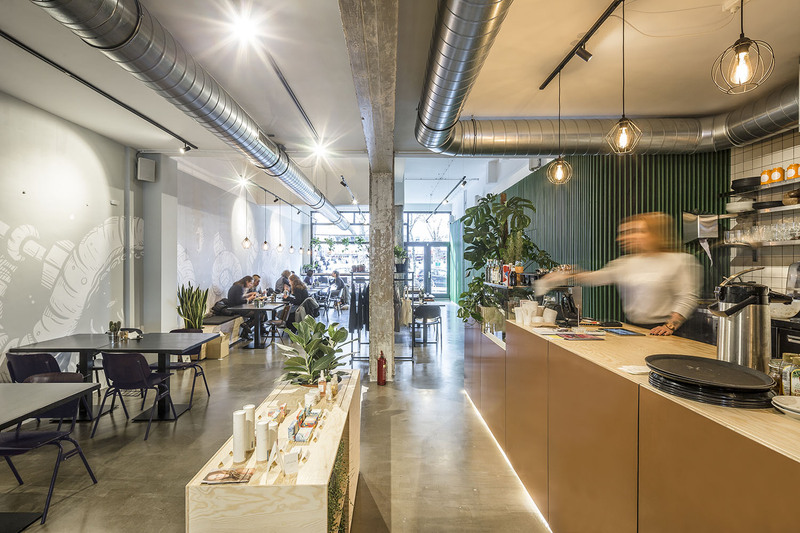 To enlarge the feeling of the open industrial space and amplify its height the column structure was stripped down to its original concrete aesthetics. 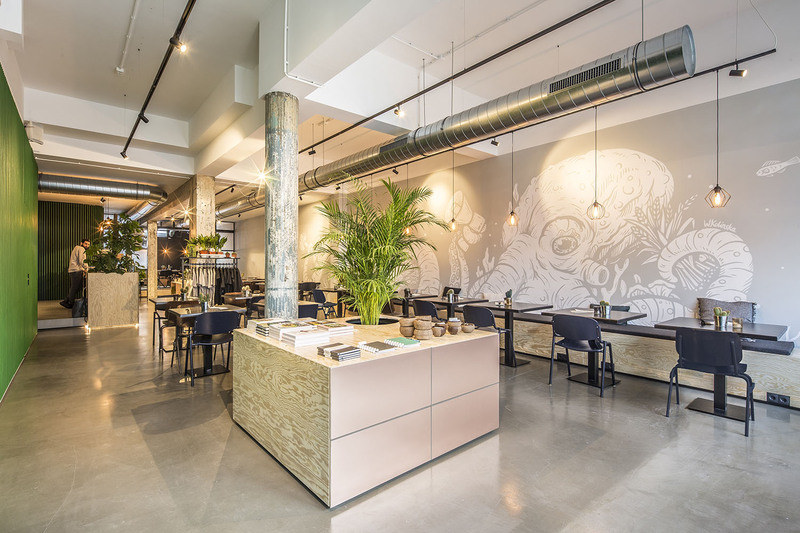 To complete the concept store an artist collaborated to create an exciting artwork reflecting the ideals and views of the owners.